"Excellent tour and wonderful leader"
"Myanmar is a lovely country and well worth a visit. 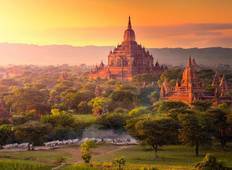 The sights, especially round..."
"I loved my time in Myanmar! It was a beautiful trip, made even more so by our wonderful..."